The exact function of a CV varies considerably between jobs, and inevitably countries, but wherever you are they provide a rapid snapshot of a candidate that can make or break a job application. This makes it essential to understand the job market you are applying for before beginning your CV: ensuring that it fulfils certain assumed – though not always explicitly stated – criteria means avoiding dismissal before employers get to the substance of your application. Given that the average recruiter spends between just 20 and 30 seconds on each CV before moving on, it is worth making sure you have the essentials down to a tee. Having a native English speaker or professional translator guide you in the process of adapting your CV for the UK market will ensure you avoid pitfalls and significantly increase your employability. 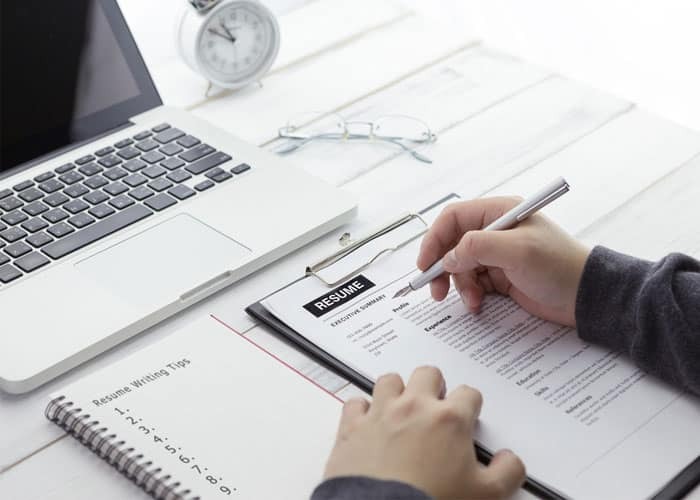 This overview of the key expectations of a UK employer in terms of CVs will highlight their particular outlook on this matter, and offer the key points you’ll need to retain to ensure an application in the competitive UK job market has a chance of success. Spelling and grammar. The importance of these two things can be repeated endlessly, yet candidates still needlessly lose out on jobs because of an inability to spot linguistic errors in their own work. This applies to CVs in any country, but when applying for a job in a language that is not your first, it becomes even more paramount to have a native speaker check what you have produced. Small things like spelling differences between UK and US words may seem trivial, but can jar for British readers, and suggest a lack of awareness of the specificity of the job at hand. US English may be becoming increasingly widespread online, but, even in globally-oriented roles, it is worth sticking to UK conventions. While you can often find information about the most common details online, a translation agency can take care of any such subtleties which may not be immediately obvious to non-native speakers. Keep your CV to a maximum of 2 pages. Unless you are writing a CV for an academic post, it must be something that the employer can glance over quickly to look for the key criteria they have in mind. If you are applying for a graduate or entry-level job, one page is almost always sufficient, and the decision to spread to two pages should be made on the basis of a certainty that the extra information included is completely relevant and indispensable. It is best to keep personal details to a minimum because of discrimination laws in the UK. Limit yourself to contact details (which should allow the employer to get in touch quickly and easily if they need to) and leave out gender and marital status. For the same reason, it is never advised to include a photo on your CV in the UK. It is also advisable to omit the summary statement of the job being applied for as is commonly done in Germany and France; while it is necessary to tailor the content of your CV to each role you apply for, the cover letter serves as the explicit link between that and the job in question, so that spelling it out on the CV too will waste space that can be used to include more details. While details about education are important, keep these to the highest qualifications obtained: if you have a degree there is no need to mention anything before that, while if your education finishes at high school qualifications, make sure you include a brief explanation of what that entails, as most British employers will only be familiar with A-Levels, the standard final exams at college. Even qualifications such as the International Baccalaureate, which can be taken in the UK, may need to have their grades explained, perhaps with brackets just indicating what the maximum is. Also bear in mind that British employers place more emphasis on work experience than on education, and that vocational degrees are less common, and rarely considered necessary for many sectors beyond law and medicine. By all means include them, but avoid writing too much about them at the risk of skipping over relevant work experience. Unlike in some countries, you won’t need to attach proof of education to the application itself – employers will ask for it if required, but won’t appreciate unnecessary extra paperwork that they have not requested. Choosing what work experience to include is an important process. While anything that can be shown to be beneficial is worth including, a useful way of dividing things might be to have two headings ‘Related Experience’ and ‘Other Positions,’ in which the latter includes roles that may not be explicitly connected to the job, but demonstrate key skills an employer is looking for. Flesh out bullet points of each role with clear, focussed explanations of why they are relevant. These should be tailored to the job description, but not copy and pasted from the exact words they use, so that you can demonstrate that you have the relevant skills without sticking slavishly to their criteria. Make sure that this central section is based on precise examples that back up your claim. Instead of claiming that you boosted profits in a given role, say by how much, and mention a strategy or two that allowed this to happen. Overblown, unsubstantiated claims using clichéd language should be avoided, think about it as a question of showing, not telling. Hobbies, skills and interests are worth including as a useful way of distinguishing yourself from other candidates, but again, be precise, and frame them in a way that links them to the job. Listing language capacities is a must, especially if you are a non-UK applicant, as increasingly few natives learn foreign languages so this will really set you apart. Even apparently irrelevant hobbies can be shown to be related, for example rather than simply stating that you enjoy baking, include the fact that you have a blog charting your creations with a substantial reader base, thus highlighting your communication and social media competencies. A final point to bear I mind is that design of your CV should be clear, easy to read, and above all consistent. Don’t waste effort making it overly showy unless you’re applying for a design-focussed role: the main thing is to ensure that it fulfils the qualities you claim to possess within it. If you plan on broadening your job search overseas, contact Espresso Translations for a CV translation quote today!